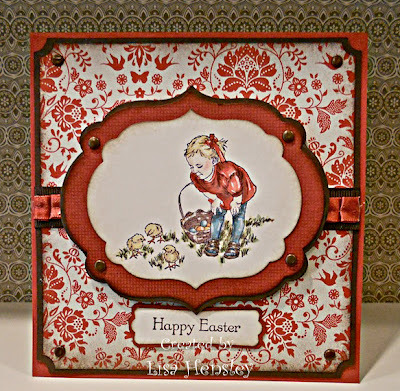 The Shabby Stamper: Heaven Blessed! I'm so happy that the Everyday Enchantment dsp has Riding Hood Red in it's color scheme -- I can renew my love affair with this wonderful color! I have to also say that I'm loving the new label Framelits. I made the outer Chocolate Chip frame layer by cutting out two of the same size as the RHR frame layer (which is overstamped with Canvas in Chocolate Chip). I then cut apart the Chocolate Chip layers and adhered them around the outer edge, making the narrow frame that you see here.